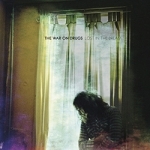 The War On Drugs third LP Lost in a Dream was released to widespread critical acclaim back in March. Since then the album has featured in practically every top ten albums of the year lists, if not topping them. The LP has been a slow burner for me since it’s release and like all great LPs it’s opened up and blossomed with new discoveries and a record that I keep coming back to. Red Eyes, the first single released at the end of last year, a driving beat that brings with it a heavy influence of 1980s rock was an instant hit and a quality stamp that ushered in the album that followed. Lost in a Dream flourushes with many reference points from classic rock, but this record has a contemporary edge that demands attention and repeated listening. The long tracks serve as epic journeys that create a monumental and memorable LP that will stand the test of time.